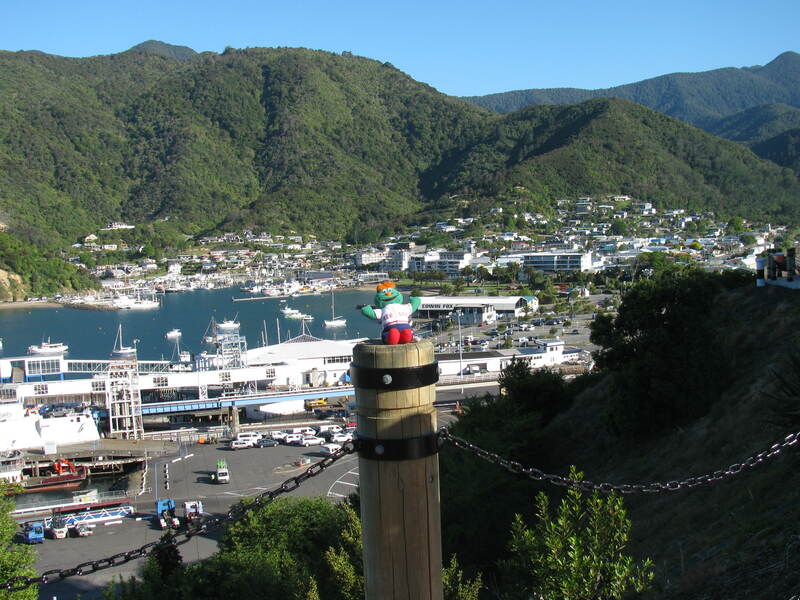 Wally is hanging out with us on the Queen Charlotte Drive. The beginning of the Drive over looks Picton, the Port on the South Island where the Ferries come in from the North Island. The drive continues to wind around mountains with a view of the sea for around 20 miles (or enough to make both Wally and I a little car sick). Go Wally….Hope your all having fun and taking it all in. Pics and blog are great, keep it coming. Looks beautiful there. THis picture reminds me of the Carribean a lot. Hope all is well. Love the blog by the way.